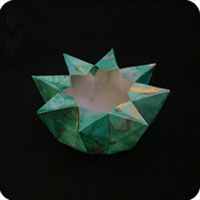 A long time ago, a masu box was a wooden box used to measure rice. 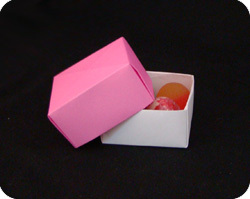 Later, a similar square, wooden box was used to drink sake (a Japanese alcoholic drink like wine or beer). 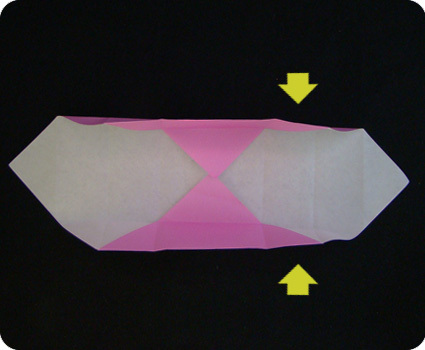 In the origami world, a masu box is a traditional, square shaped box made of paper. 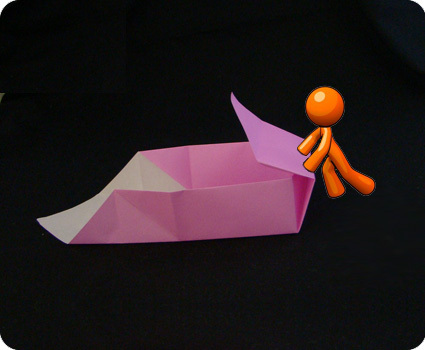 It is probably one of the trickiest paper boxes available in this web site, but it’s a classic which all origami experts know. You should try it at least once. 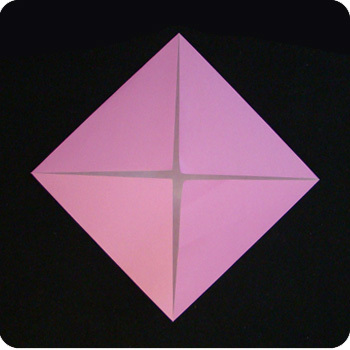 Start with a square sheet of paper with white-side facing up. 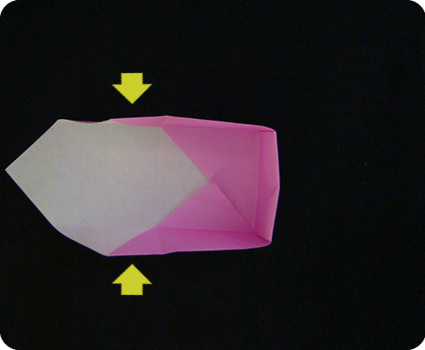 Fold it in half (left to right) and then unfold. 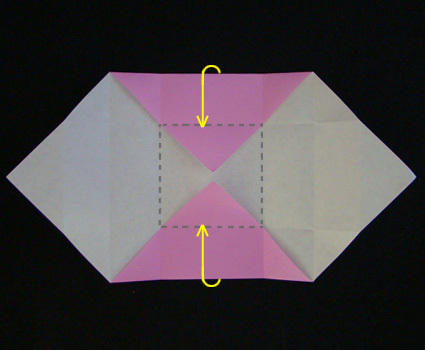 Repeat in the other direction: fold in half (top to bottom) and then unfold. 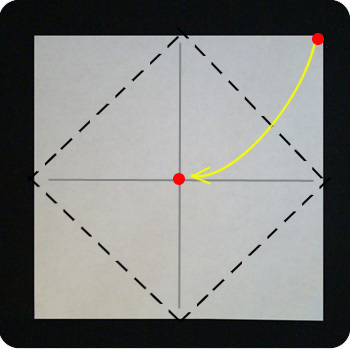 Fold the corner of the paper to the middle of the paper (connect red dots). Do this for all 4 corners. 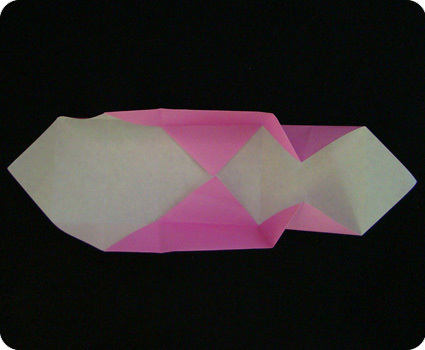 This is called a blintz fold. 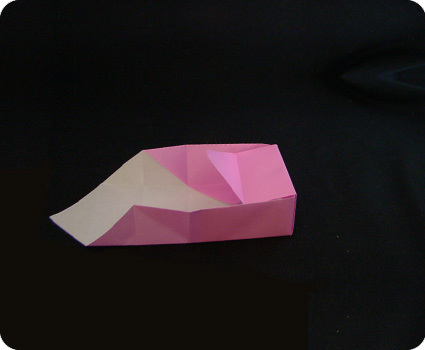 Rotate the model a little so the square is resting along the flat side. 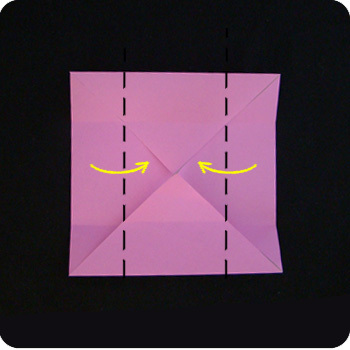 Fold the top-edge and bottom-edge of the paper to the horizontal midline. 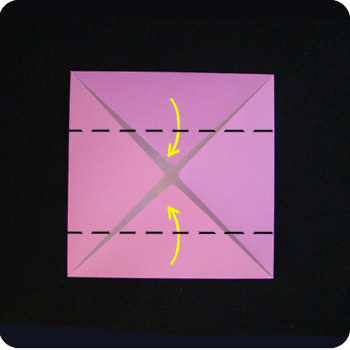 Fold the left-edge and right-edge of the paper to the vertical midline. 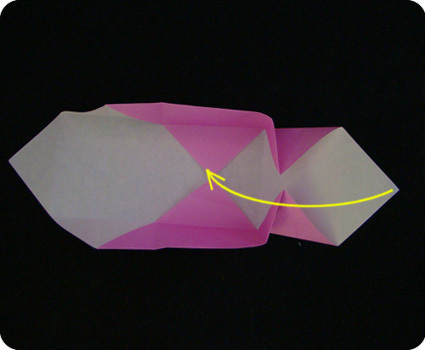 Unfold the left and right sides of the model so the the sides become triangular flaps. 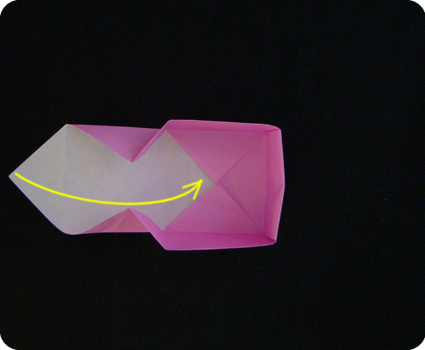 Lift the top and bottom sections of paper up (follow creases made in step 3) so the paper is perpendicular to the rest of the model. These form two walls of the masu box. The dotted square shows where the base of the box will be. 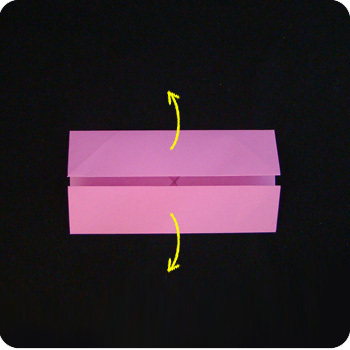 Form the corners of the box by pinching the top and bottom sections of paper. 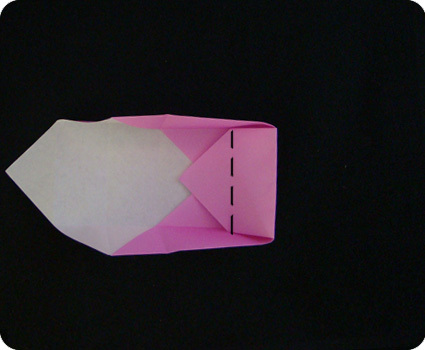 The creases are already there: you will have to adjust the folds so they are in the proper orientation (valley or mountian folds). 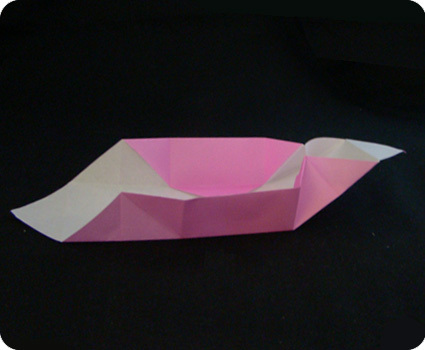 The side of the model will fold up as shown in the next few photos. 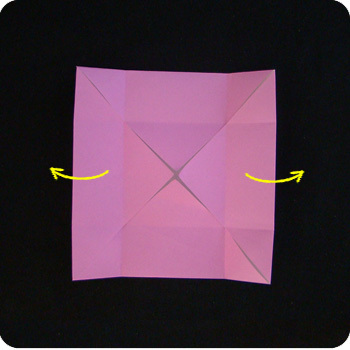 Lift the triangle flap towards the center of the box. 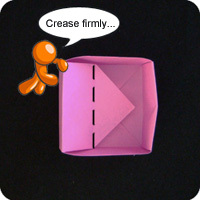 Fold the triangular flap over the edge of the box. 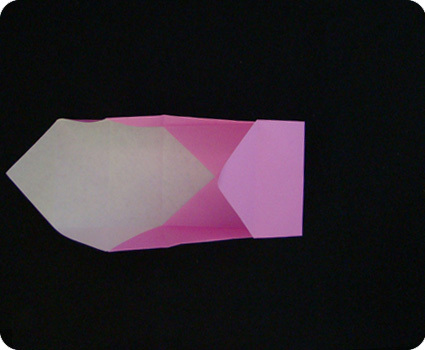 Fold and tuck the remaining paper into the base of the box. Repeat on the other side to make the forth wall of the box. 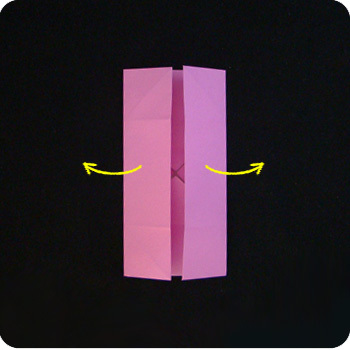 Pinch the side of the paper to form the corners of the box. 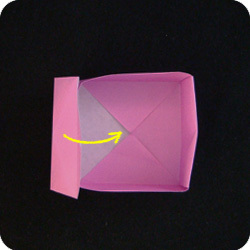 and tuck the paper into the base of the box. 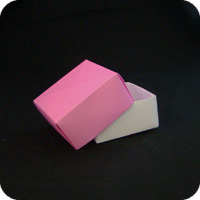 The masu box can be used as an open ended box. 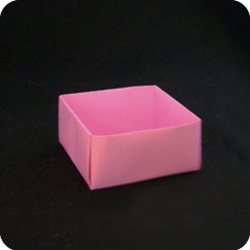 If you want a closed container, make a second paper box with a piece of paper that is slightly smaller than the one used for lid of the box. This box is a classic design. 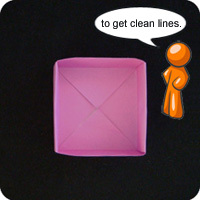 It has clean lines, it is sturdy, it is functional, and it is elegant. A sure winner!